MOSCOW (Sputnik) - A tilt-rotor aircraft, or convertiplane, is planned to be created for Russian Airborne Forces, which are currently preparing a customer specification, a defense industry source told Sputnik on Sunday. "Russian Airborne Forces are working on the possibility of using convertiplanes to deliver paratroopers on the battlefield. Before the end of September, it is planned to get the customer specification and start the experimental design work for this aircraft," the source said. Technically, a tilt-rotor aircraft is a hybrid of an airplane and a helicopter using rotor power for vertical takeoff and landing (VTOL) and converting to fixed-wing lift in normal flight. Its advantage in versatility is that it can take off and land like a helicopter, but fly with aircraft's speed and efficiency in terms of fuel consumption. 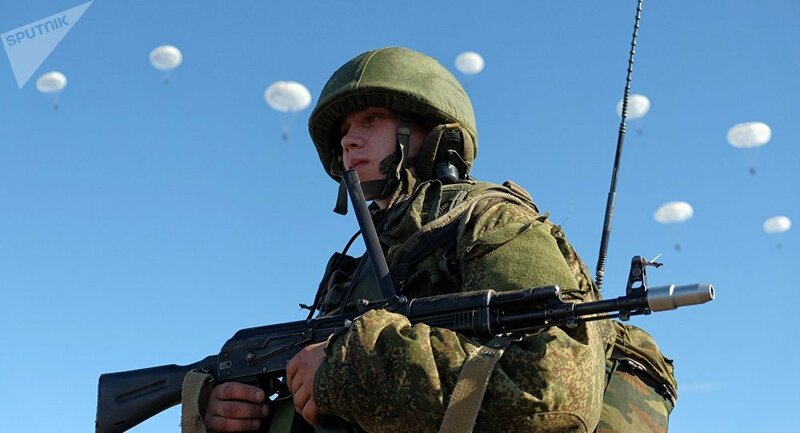 Russian Airborne Forces, formed a decade before WWII, constitute an elite branch within the Armed Forces structure. The troops have been involved in conducting a series of special missions in different parts of the world, including Afghanistan, former Yugoslavia and Syria. Russian President Vladimir Putin has said that the share of the modern and ugraded equipment used by the Russian military would reach the 70-percent target by 2021. The process of equipping the Russian army with modern armaments is being carried out under the so-called May decrees on improving Russia’s economy and social sphere, signed by Vladimir Putin after being elected president in 2012.